WASHINGTON - Tokyo said Friday the resignation of U.S. national security adviser H.R. McMaster will not impact the countries’ relationship at a time when the allies are working together to deal with the threat from North Korea. “We have been closely exchanging views with the U.S. government, both between leaders and at the working level, so we don’t think there will be any particular negative influence,” Chief Cabinet Secretary Yoshihide Suga told a news conference. Foreign Minister Taro Kono said he was “a bit surprised” to see McMaster leave, as he met the national security adviser last week during his visit to Washington. But Kono said he does not expect any change to U.S. policies on North Korea, citing the “complete agreement within the government” he witnessed during his trip. 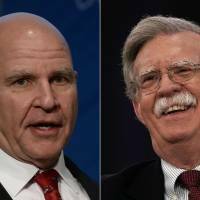 U.S. President Donald Trump said Thursday he will replace McMaster with John Bolton, a former U.S. ambassador to the United Nations known as a hard-liner on North Korea and Iran. 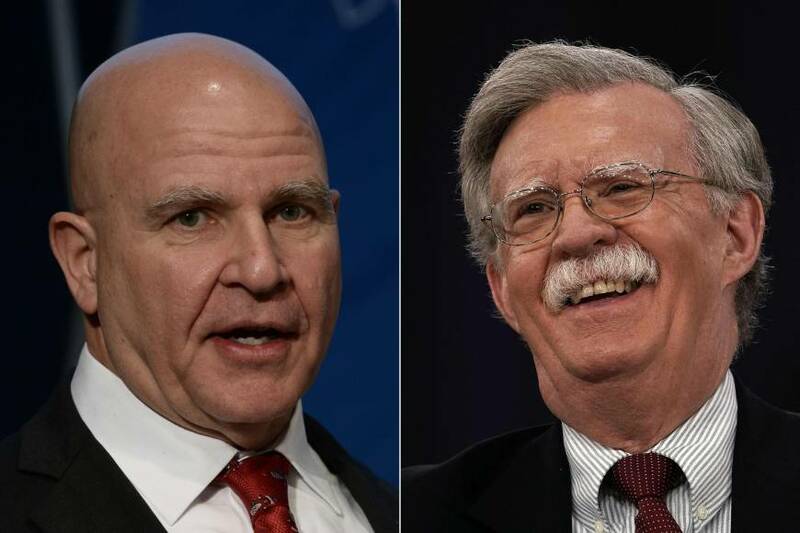 Bolton will take over on April 9 ahead of a planned meeting between Trump and North Korean leader Kim Jong Un in May. The exit of McMaster follows Trump’s dismissal of Secretary of State Rex Tillerson last week. Tillerson is expected to be replaced by Mike Pompeo, the Central Intelligence Agency director. “I hope I can meet both the new secretary of state and the new (national security) adviser at an early date,” Kono said. Defense Minister Itsunori Onodera said Bolton gives off “an impression that he takes a hard line on North Korea.” Bolton will be Trump’s third national security adviser. Still, the U.S. president has clashed with the respected three-star general in the past, and talk that McMaster would soon leave the administration had picked up in recent weeks. The White House said his exit was not due to any one incident. Bolton, who has served as a hawkish voice in Republican foreign policy circles for decades, is probably the most divisive foreign policy expert ever to serve as U.N. ambassador. He met with Trump and White House chief of staff John Kelly in early March to discuss North Korea and Iran. He was spotted entering the West Wing earlier Thursday.